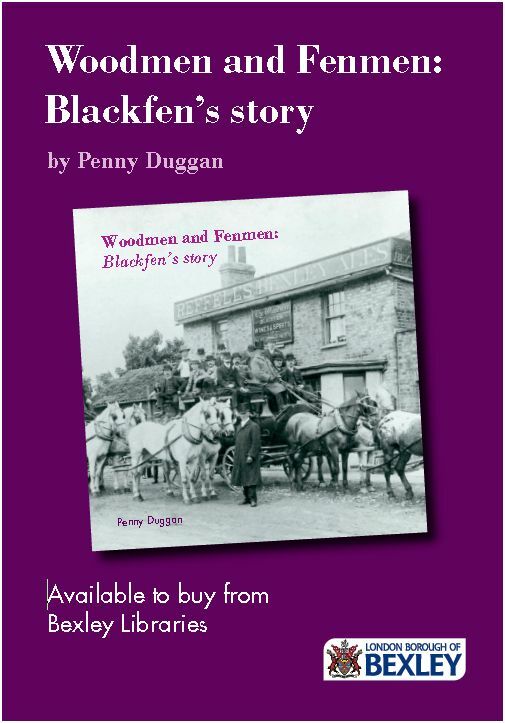 In earlier times the focus of ‘Black Fen’ consisted of the buildings belonging to two farms around the junction of Days Lane and Burnt Oak Lane. During the 1800s the focus shifted to the Eltham – Bexley road, and the Woodman Public House became a recognisable landmark. The shopping centre created in the 1930s radiated from this point, and housing developments spread even further out. 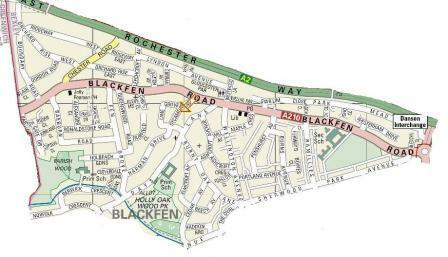 Where do the boundaries of Blackfen now lie? This is an interesting question and there does not seem to be one correct answer. A suggestion for the present day boundaries could be the East Rochester Way (A2) to the north, the borough line to the west (Boundary road and Parish Gate), the River Shuttle to the south, around the Oval and along Sherwood Park Avenue up to the Chapel House to the east. If you disagree and have other suggestions for where the boundaries lie, please contact me.